My favorite thing about fall is that fact that I can have more fun styling my dresses. 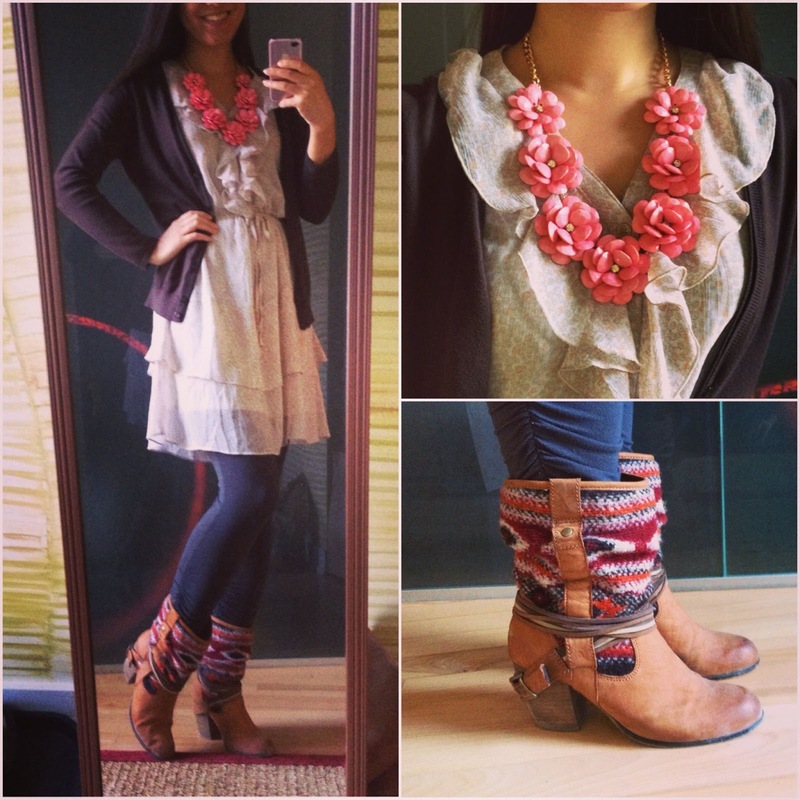 I love the look of a cute frock paired with riding boots, leggings and/or a chunky sweater or coat. 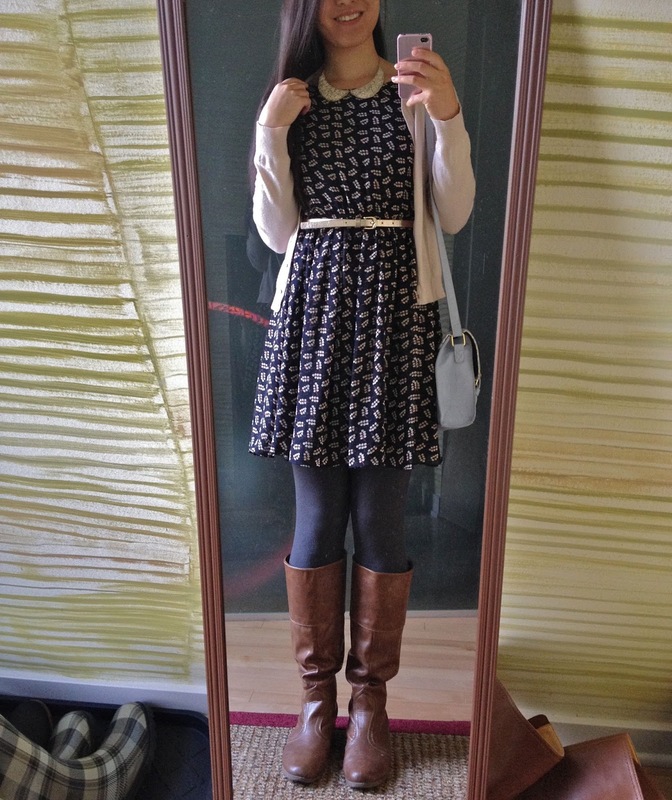 The major plus of Fall layering is transitioning Spring and Summer dresses into Fall so they get more mileage! I've worn all of these adorable dresses in the warmer months and I don't have to hide them until Spring comes around again! However, not all dresses can be transitioned into colder months. So when you set your eyes on a cute frock that you want to wear year round, the most important detail to consider is the color. 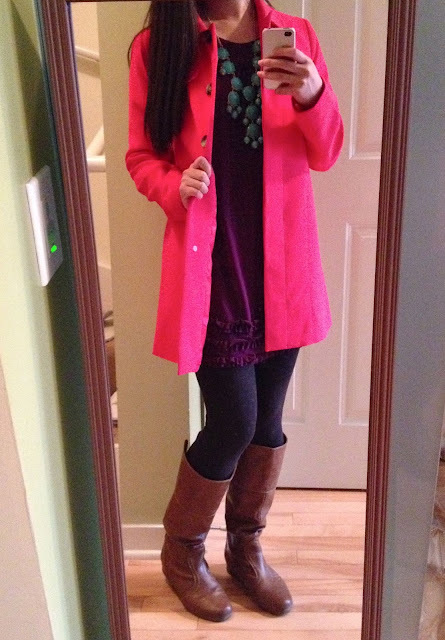 Single color dresses are the simplest, especially in a neutral or jewel tone. If you find a patterned dress, make sure that the predominant color is a darker neutral. Here are a few Fall looks with some of my year-round dresses to give you ideas for what kinds of dresses you can search for and how to dress them up! Hope these ideas help! Leave a comment below if you have any style or shopping questions! You can check out last week's mini style series (Parts 1, 2, 3, 4, 5) if you haven't already for some more tips. PS. 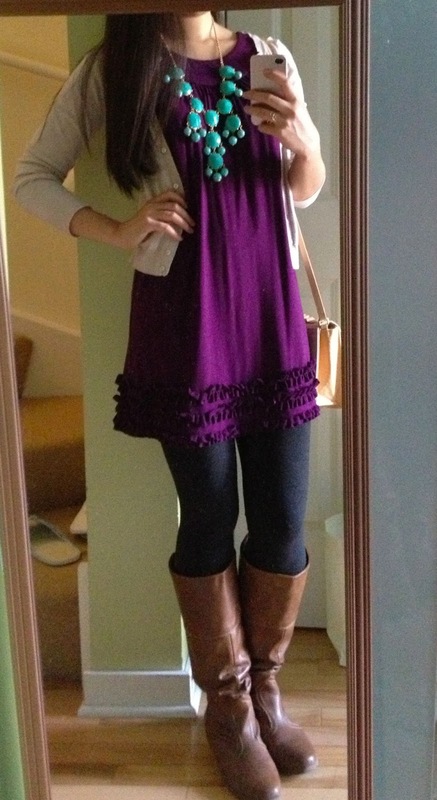 Sorry for the selfie-iPhone-mirror pictures. I snapped these on my way out the door. I need a photographer! these are so adorable for fall! i love all the accessories you pair with the different dresses. You look so cute! 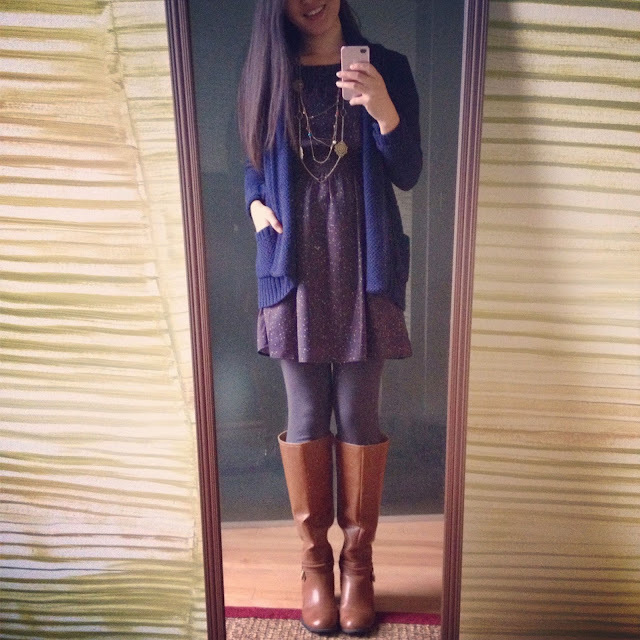 I love boots with dresses, such a put together and classy fall outfit! Thanks for the sweet words! Congrats on the blog name change & new design! Love it!